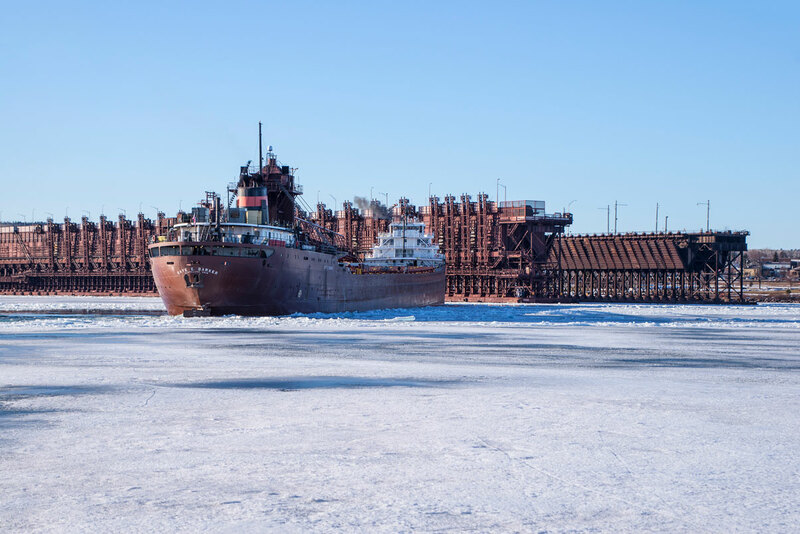 The following day we managed to catch another Duluth Shipping Twofer. 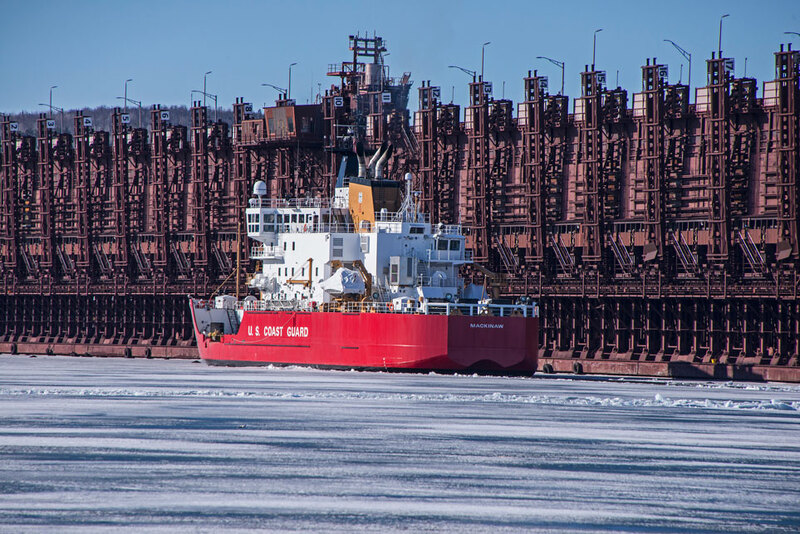 The American Integrity was coming into Duluth Harbor and the Paul R. Tregurtha was on its way out into Lake Superior. 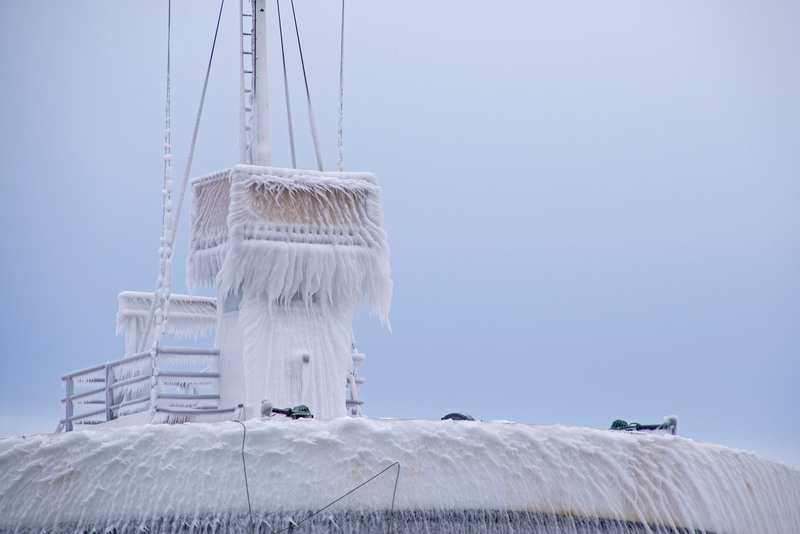 The American Integrity had a good deal of ice on its bow. 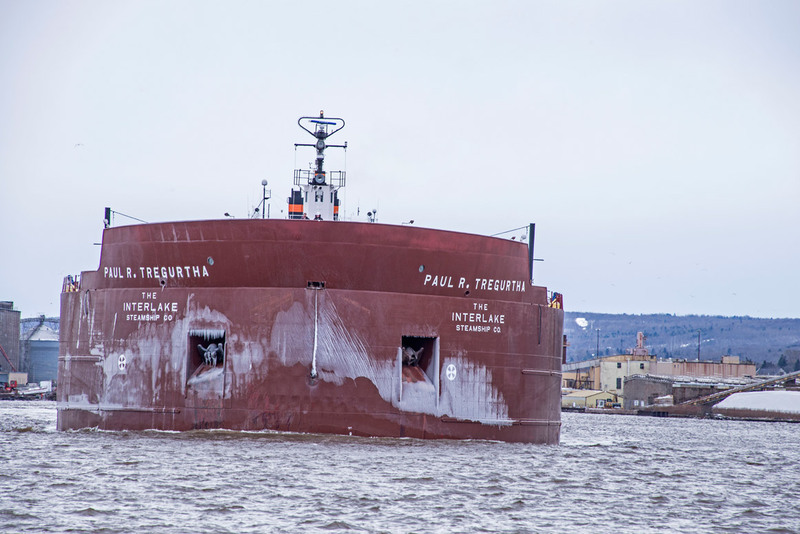 The Paul R. Tregurtha was listing to one side as it made its turn to line up with the Ship Canal. 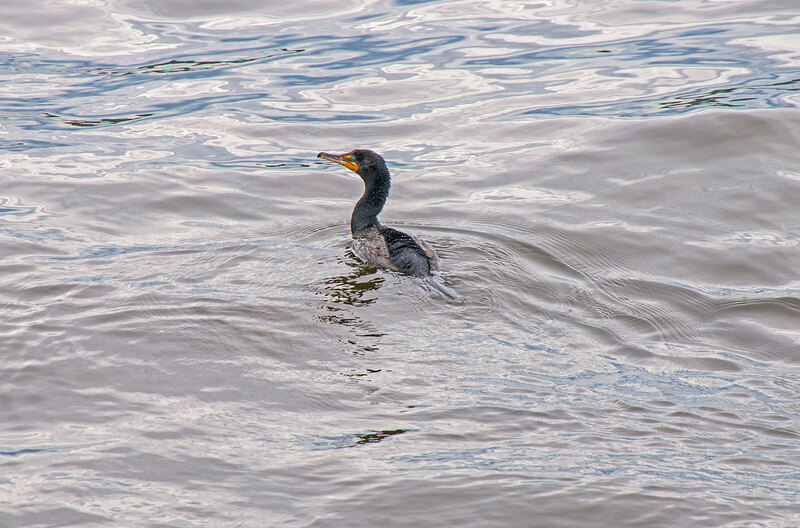 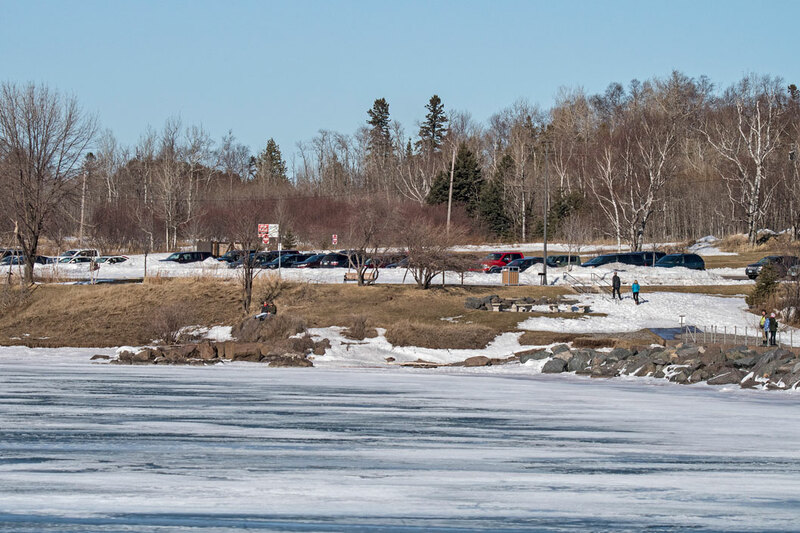 Several years ago it lost steering and grounded itself at Bayfront Park. 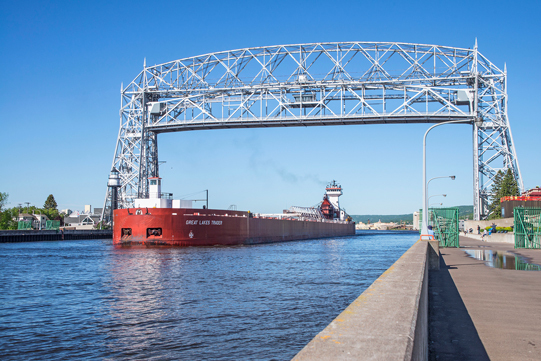 We walked down to the Duluth Ship Canal to watch the Paul R. Tregurtha sail under the Aerial Lift Bridge. 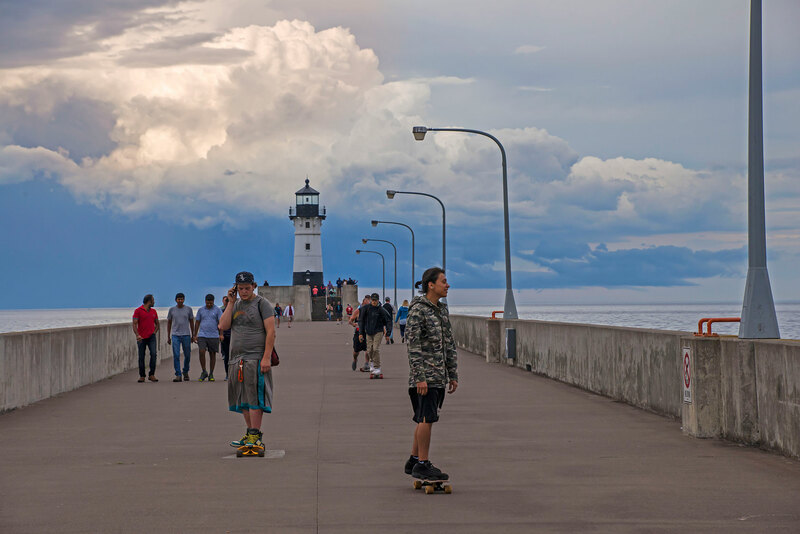 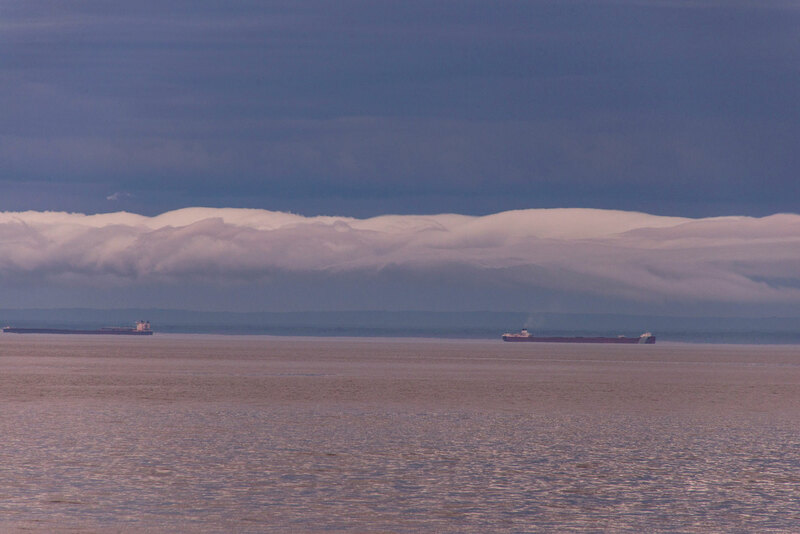 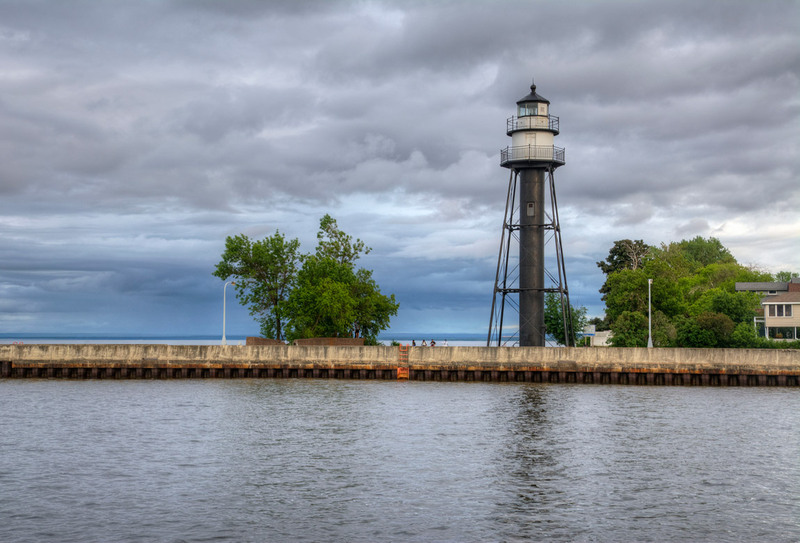 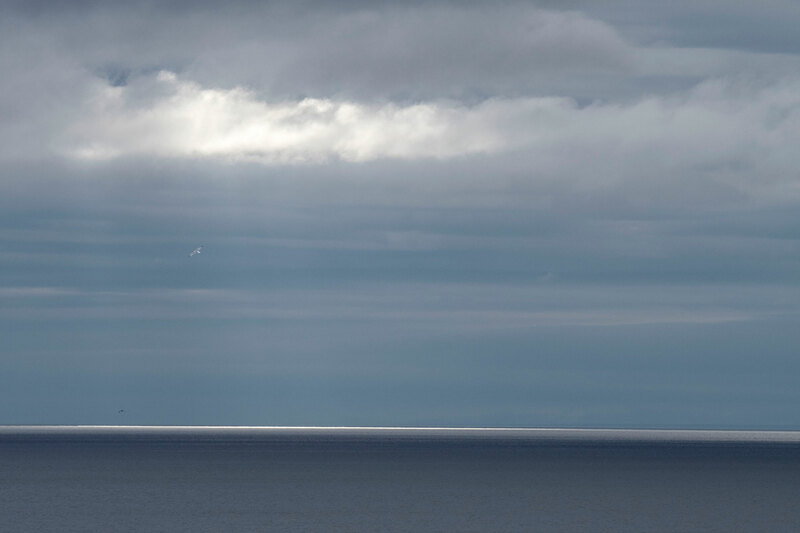 Our first stop was to photograph the South Breakwater Inner Light with the interesting clouds behind it. 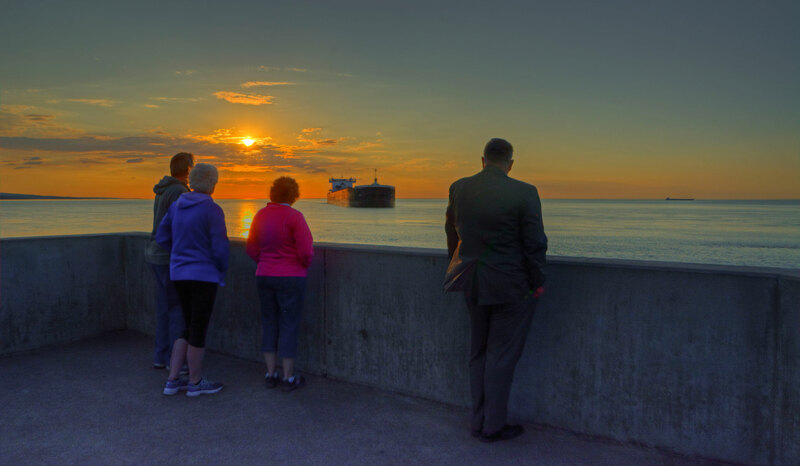 We then walked over to the DECC to watch the Tregurtha arrive and sail into the harbor. 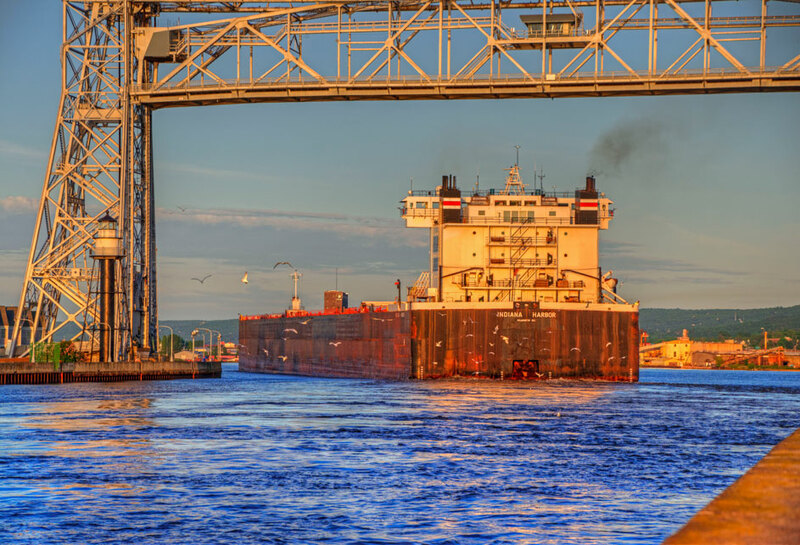 The Indiana Harbor arrived in Duluth while I was photographing the Sunrise. 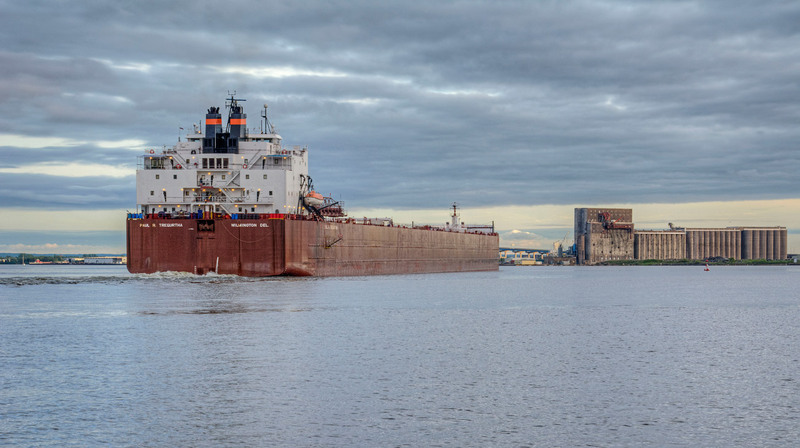 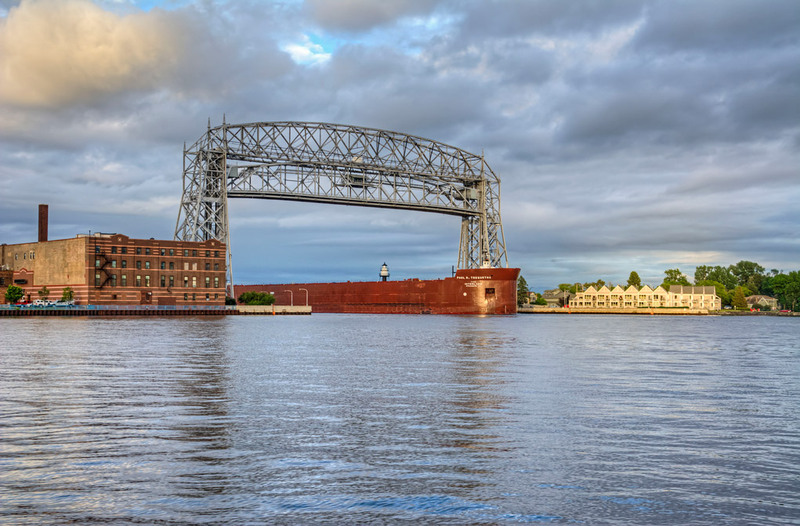 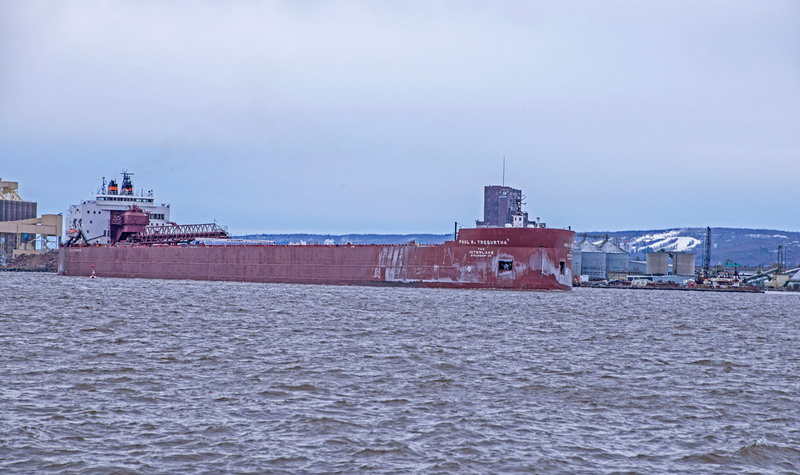 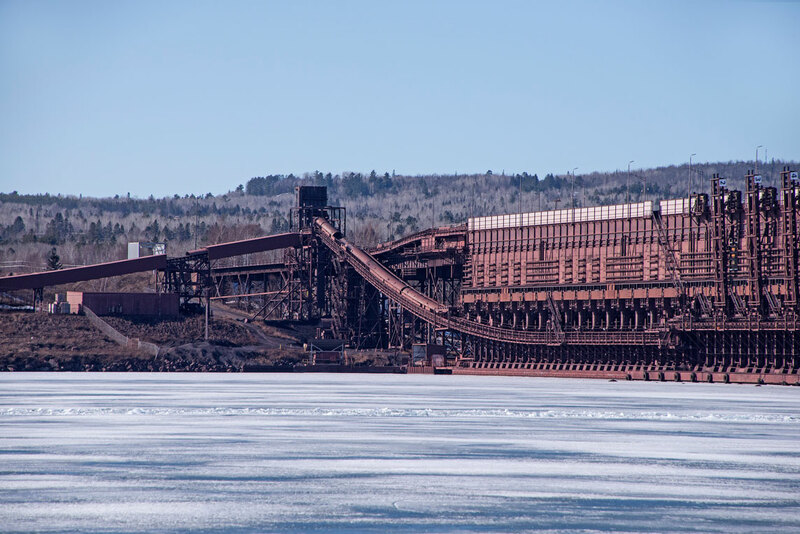 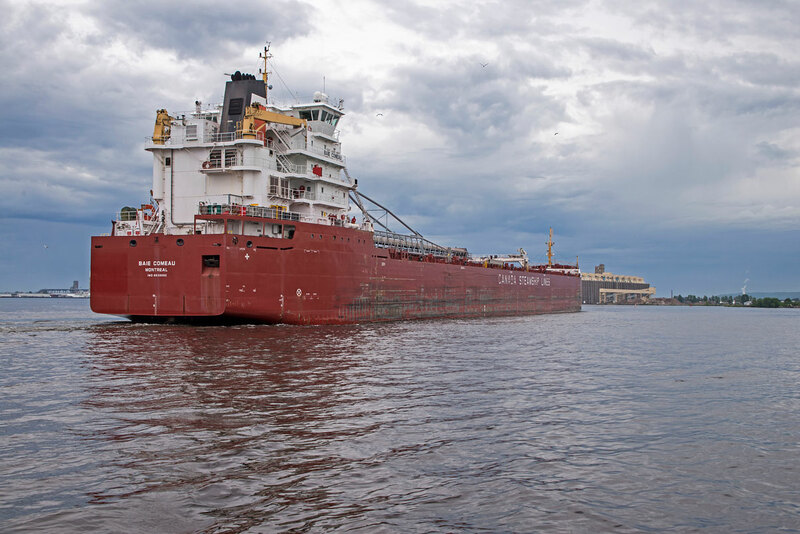 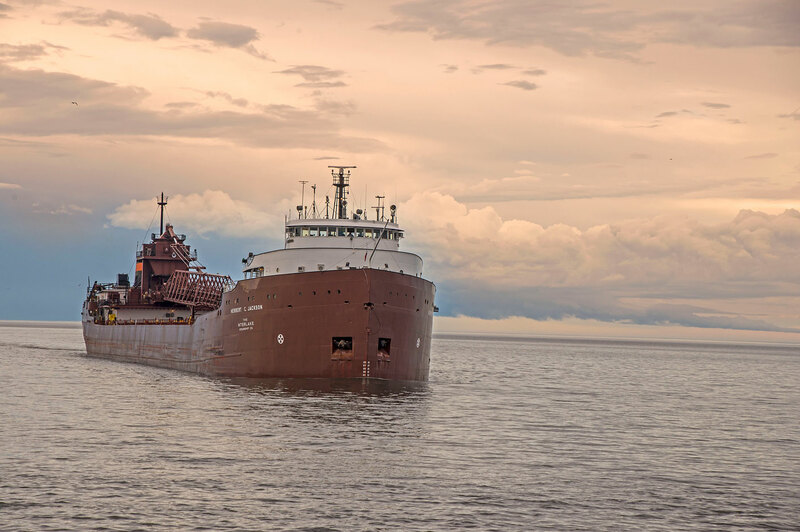 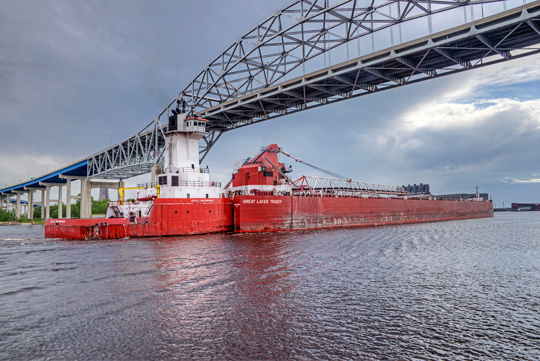 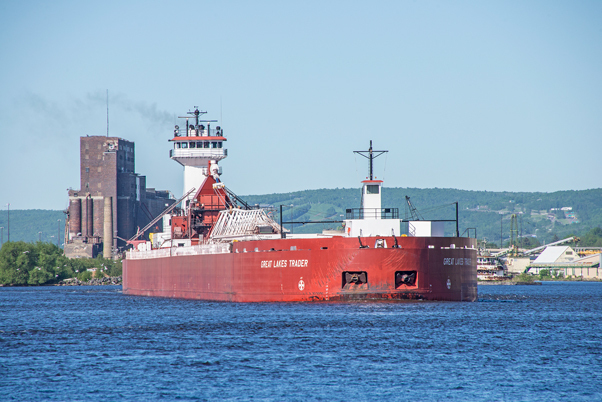 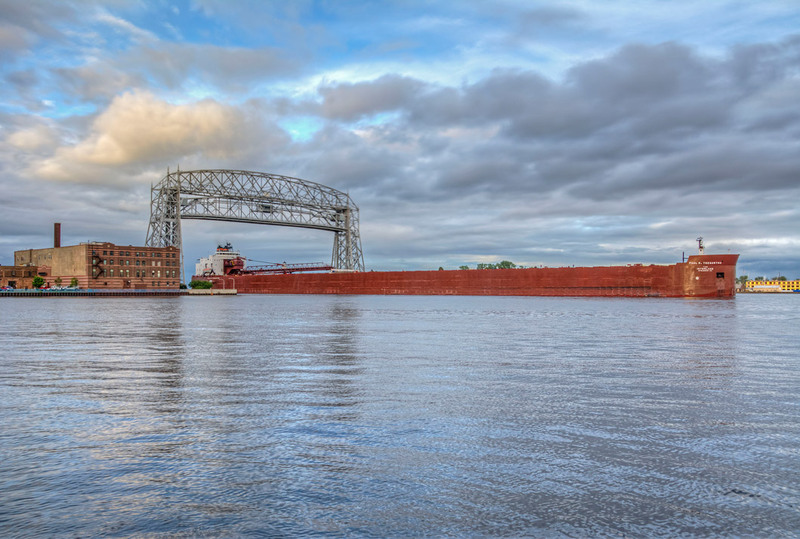 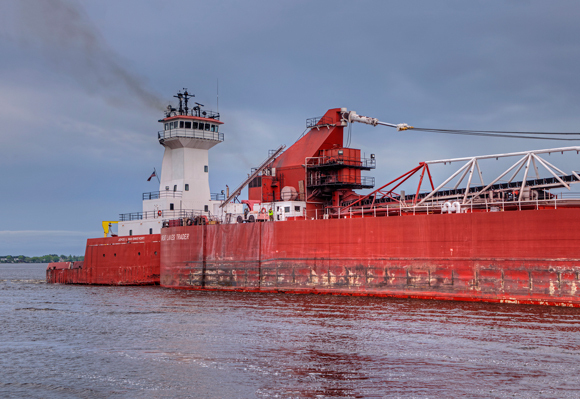 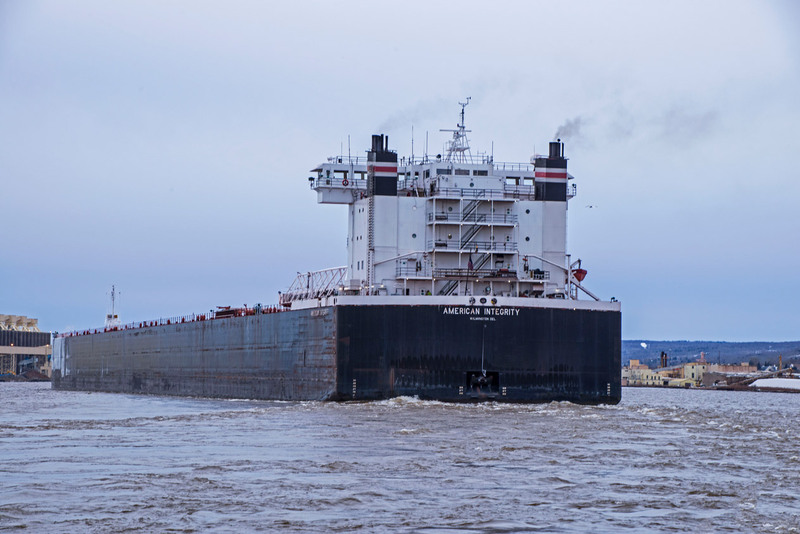 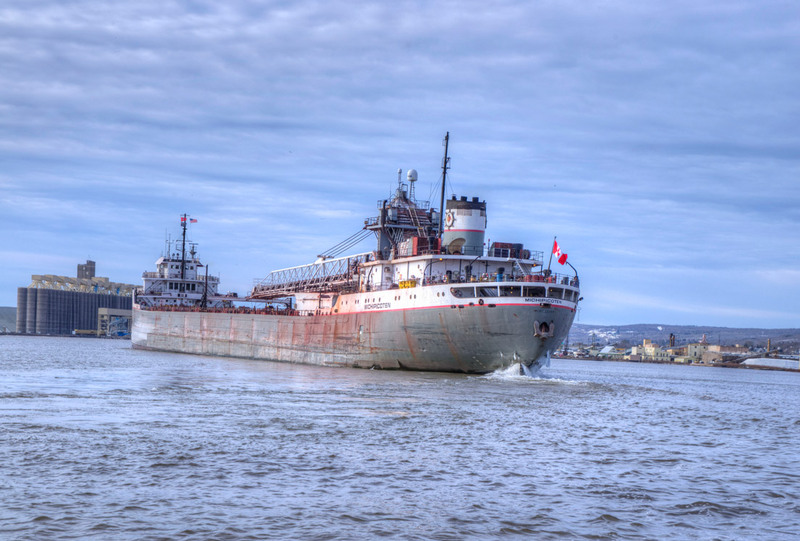 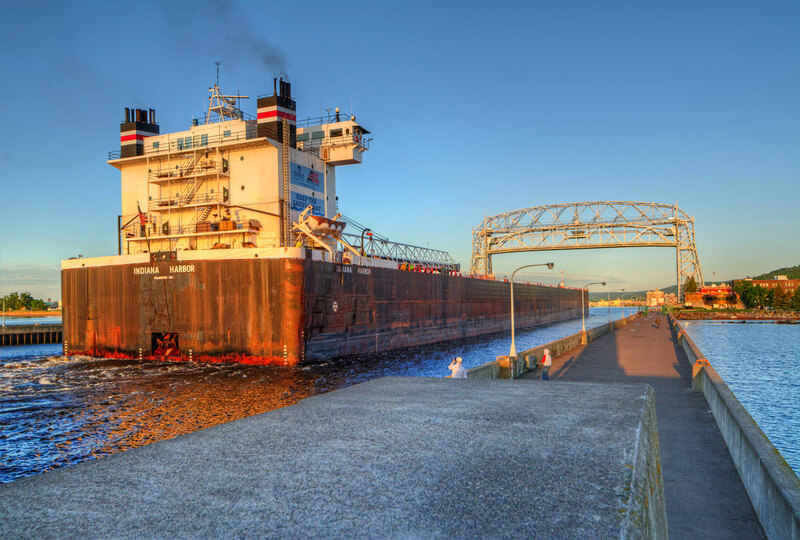 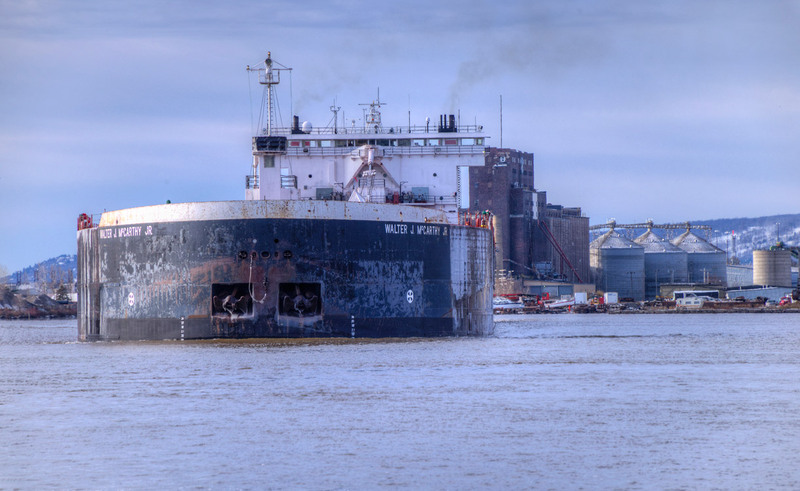 We were driving back to Duluth from Wisconsin and noticed as we crossed the Blatnick Bridge that the Joyce L. VanEnkevort and Great Lakes Trader was approaching Rice’s Point so we exited the bridge and drove down to Rice’s Point to watch it go under the bridge. 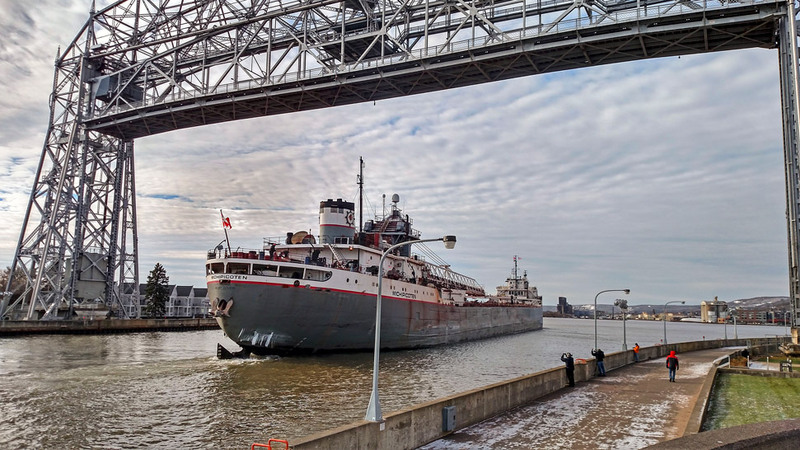 You will notice that the Joyce L. VanEnkevort is a tug and Great Lakes Trader is a barge. 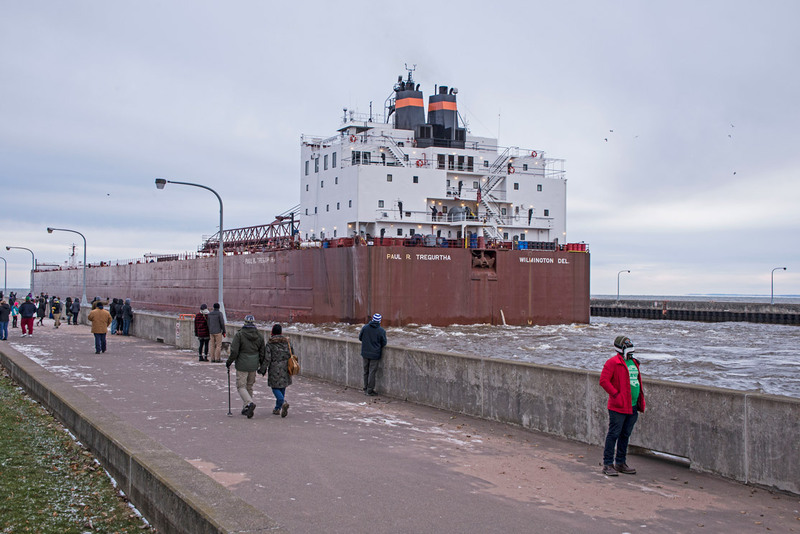 The back of the former ship has been modified so the tug can insert itself into the barge. 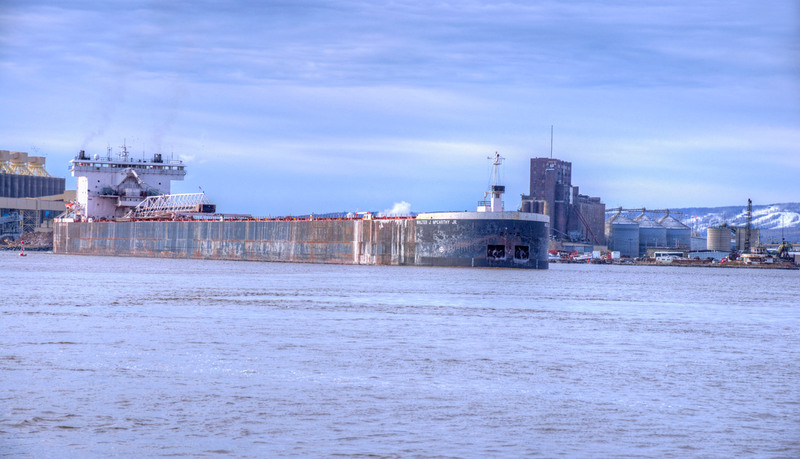 Apparently it is far less costly to run a tug/barge combination than it is to run a ship. 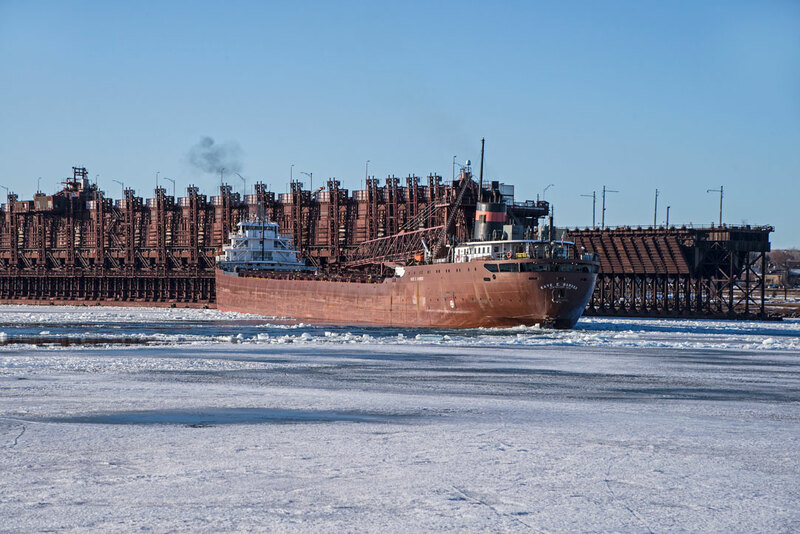 A day later I happened to be down in Canal Park when the Joyce L. VanEnkevort and Great Lakes Trader was leaving Duluth Harbor through the Ship Canal. 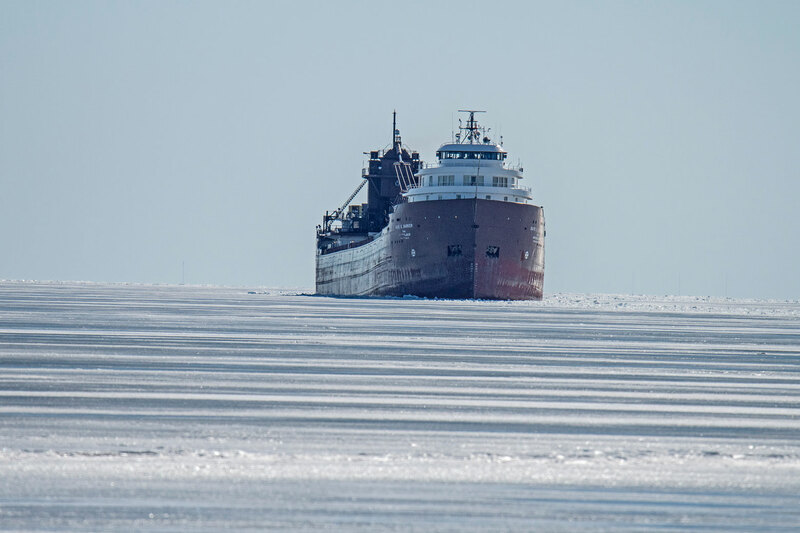 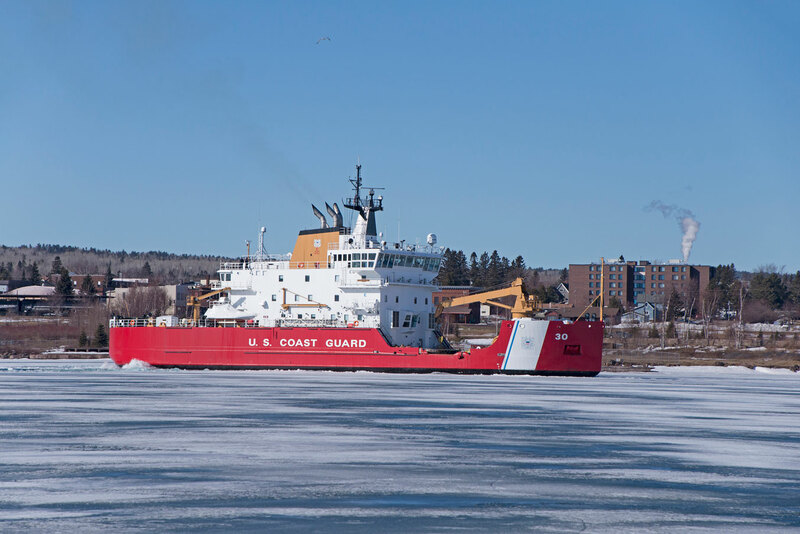 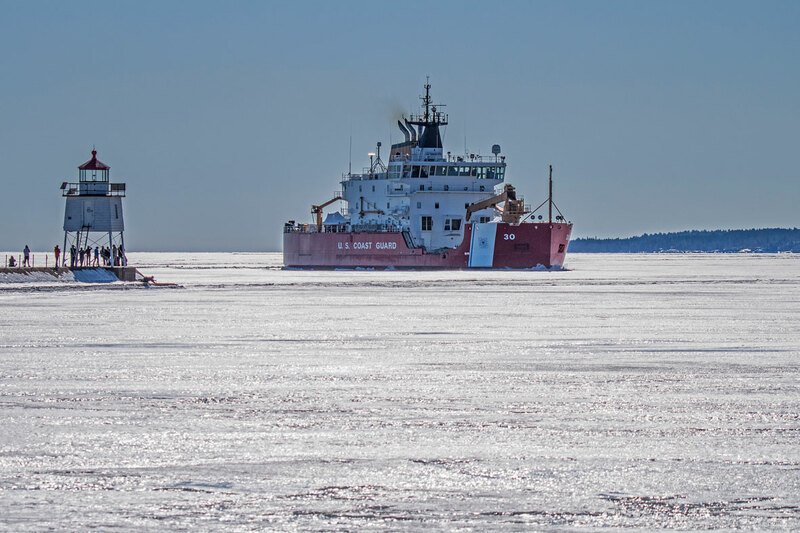 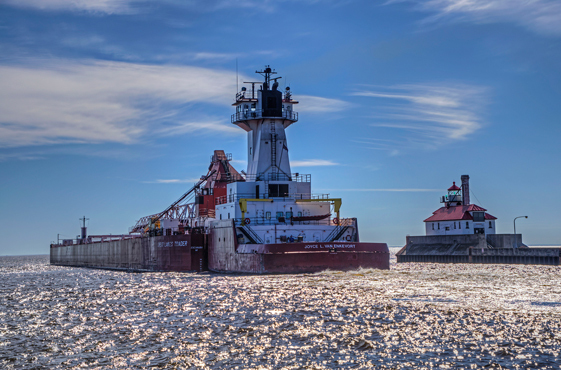 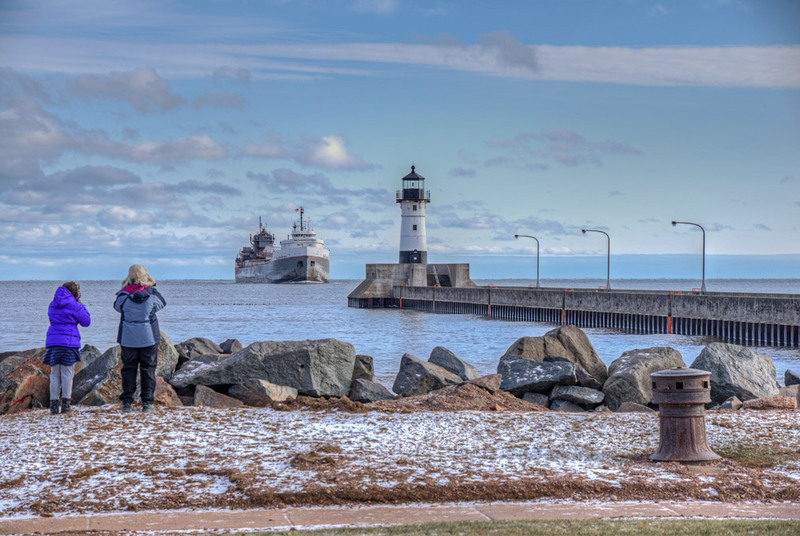 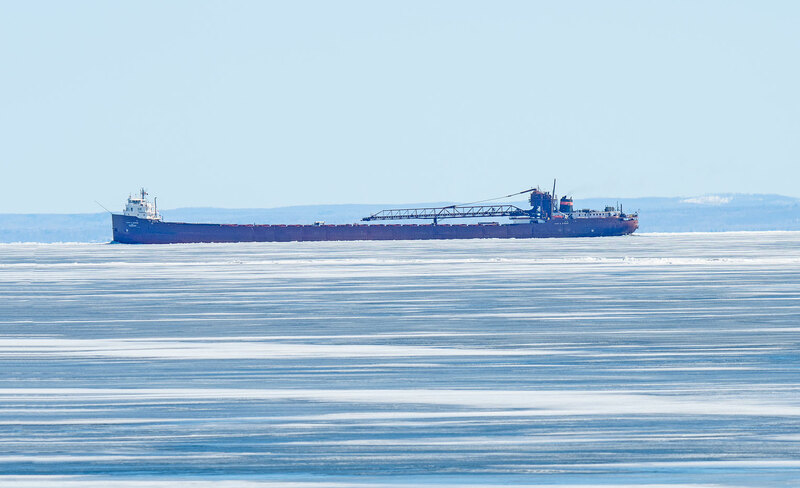 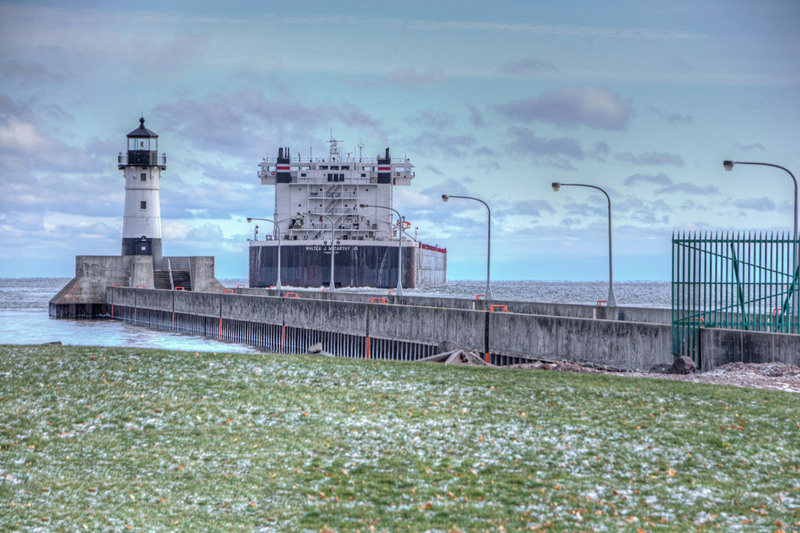 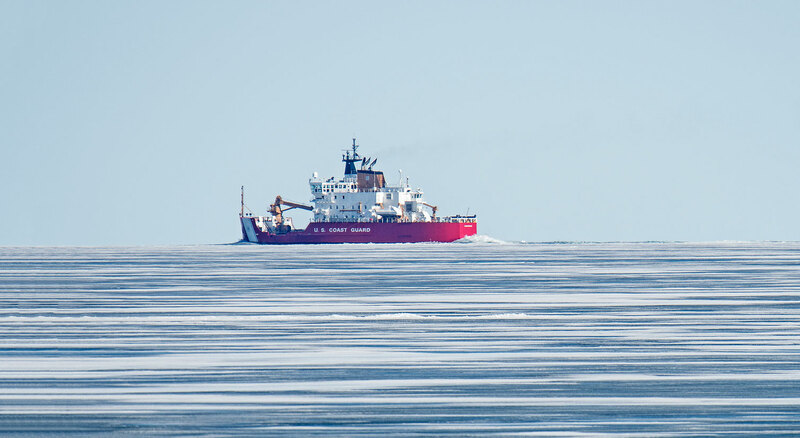 There are a number of Great Lakes Ships in Superior for winter layup. 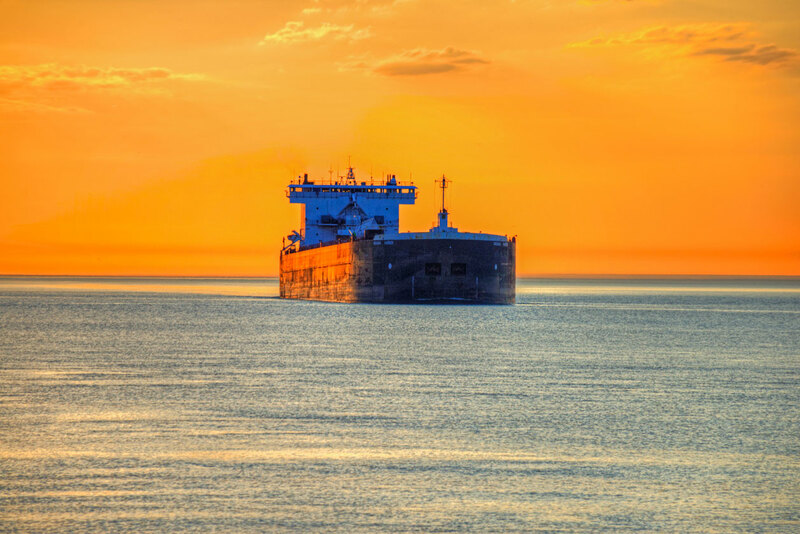 The shipping season usually ends in mid January and resumes again around the third week in March. 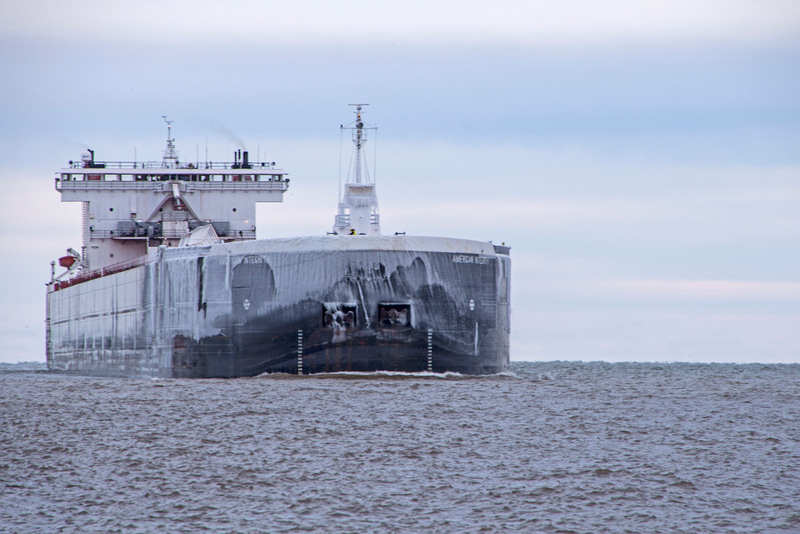 As you can see most of the ships are being worked on while they are in port for winter layup.